"The bottom line is fundamentally money," said Karen Tongson, a professor of English, Gender Studies and American Studies and Ethnicity at the University of Southern California. "These crews, these actors, these shows that have audiences, that have critical acclaim, are pushed to continue for those reasons." The reboot of "Roseanne" had an excellent first season in the ratings — it also earned an estimated $45 million in advertising revenue for ABC — when its future was thrown into doubt by a racist tweet by star Roseanne Barr. On Thursday, ABC said it ordered 10 episodes of a spinoff called "The Conners" after Barr relinquished any creative or financial participation in it, which the network had said was a condition of such a series. 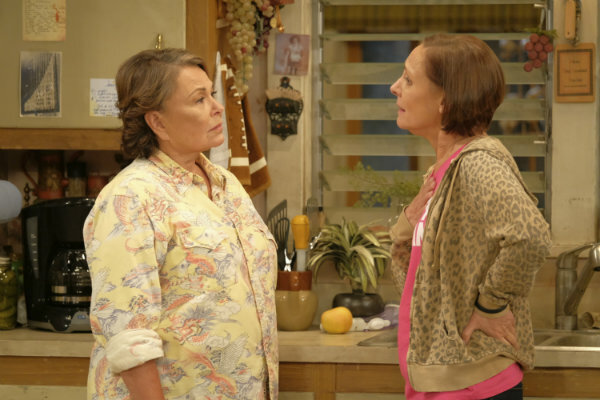 A Barr-less "Roseanne" sitcom might get viewers to tune in but Tongson doesn't believe they'll all hang around. "I think people will be curious to see what they try to do with the exit of its lead. But I'm not sure it will hold necessarily," she said. "People tuned in largely because of the volatility of Roseanne — the character and also the personality," she added. "It has the opportunity to gain different audiences and new audiences by centering certain characters, but I think that some of that tension might be removed." "Roseanne" isn't alone in trying to forge a new TV path without a key member. "House of Cards," Netflix's first original series and one that's important for its brand, was rocked last October amid sexual misconduct allegations against star Kevin Spacey. Robin Wright, who co-starred as wife to Spacey's Francis Underwood, will be the focus of the new final season. And Amazon Studios has said "Transparent" star Jeffrey Tambor won't be on the series when it returns for its fifth season. Two women — an actress on his show and his assistant — allege sexual misconduct; he has vehemently denied it. Marc Berman, a TV analyst who is the creator of Programming Insider, said any network taking a lead character off a hit show is taking a gamble. But networks are loathe to walk away from a successful show. "To not have the lead character on any of these three shows is certainly a challenge. It's not impossible, but it's a challenge," he said. "When you do something like this, you have to focus on the ensemble of the show. You have to focus on the other characters." Tongson notes that "Roseanne," ''Transparent" and "House of Cards" — two of which appear on streaming platforms and one on a big network — face different challenges when they restart. "The thing about all three shows is that they appeal to widely different demographics so there will be different reasons for tuning in for those audiences," she said. Tongson notes that while Tambor was a prominent character on "Transparent," he's not as front-and-center any more, perhaps meaning that the show can better survive his loss. The series also prides itself on having a diverse production staff with many transgender people represented, something creators want to keep together. With "House of Cards," while Spacey was without a doubt a central character, Tongson notes that the show has always been about the interplay between Frank and Claire Underwood. "Spacey was both irritant and stimulant for many viewers of that show, so I think they can easily see themselves proceeding without that character," she said. Television history offers a mixed scorecard of shows surviving without its original star: For every successful one — "Cheers" and "CSI: Crime Scene Investigation" — there's a "Nashville" or a "Spin City" that largely failed. Hit shows surviving the loss of their stars include "The Office," which bid farewell to Steve Carell after seven seasons and continued on for two more. "Cheers" nicely weathered the loss of Shelley Long and kept going for six more seasons and "NYPD Blue" shrugged off the loss of David Caruso. Other examples include "Charmed," which survived the loss of Shannen Doherty after three seasons to press on for five more, and "CSI," which kept solving cases until the final 15th season with Laurence Fishburne and Ted Danson after William Petersen walked away from regular duties after season nine. Even the show "Valerie" survived without its star, Valerie Harper. But "Nashville" couldn't overcome the loss of Connie Britton after season five and ratings plunged for the final season six. And Charlie Sheen couldn't save "Spin City" after the departure of Michael J. Fox. Many believe "The X-Files" didn't succeed without star David Duchovny in seasons 8 and 9. Berman said he thought "The Conners" might succeed simply because "Roseanne" lasted for 10 seasons. "These characters have been around for a very long time. We know who they are. In some ways, this will give these characters a chance to stand out a little bit more without the central character on the show," he said. "The secret sauce in all these shows is it's not just about this one character."